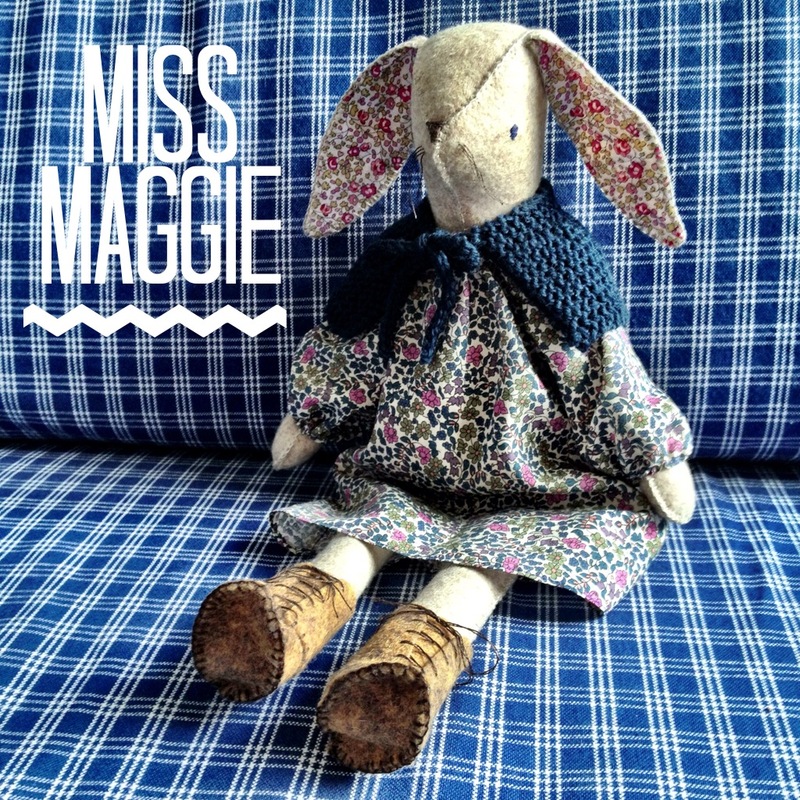 I’m not given to impulse purchases as a rule, and neither would I usually be drawn to a ‘craft kit’, but I made an exception for Alicia Paulson’s Miss Maggie Rabbit. 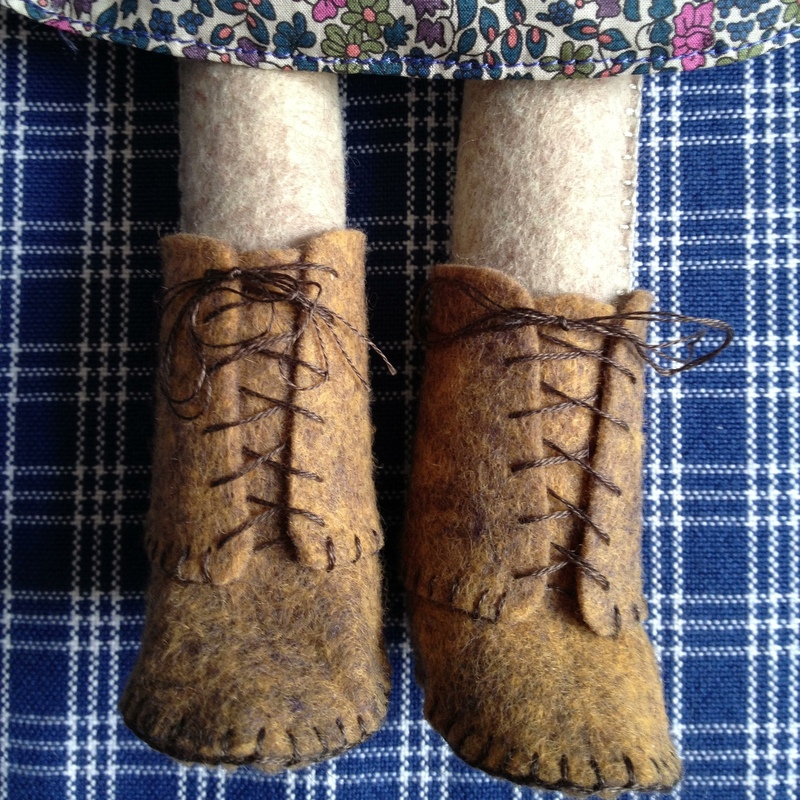 Those that follow Posie Gets Cozy will be familiar with the exquisite photography and the even more beautiful craft projects. I don’t follow many craft blogs religiously either, but hers is one I have had on Flipboard for a long time. When I saw these rabbits I was smitten, and ordered a kit almost straight away. I had huge fun making this. I really enjoyed using the kit – much more so than I expected. It was quite a relief not to have to search for all the right bits, and to not be ‘making do’ with something I had stashed away, when really I would have quite liked to use something else. It helps that the materials are lovely. You’ve only got to take one look at Liberty Tana Lawn to be in love, haven’t you? That fabric alone sparked some exciting discoveries, such as Very Berry Fabrics, a Folksy shop selling small pieces of Tana Lawn for crafters. It may be beautiful fabric, but it’s also quite pricey in larger pieces, so it’s great to be able to buy smaller bits of all those patterns. I also found out that our little fabric shop Flo-Jo Boutique on Gloucester Road stocks it, so if ever I feel the need to go and ogle the stuff In Real Life, I can trot down the road for a fix. I also remembered an outfit that I made in my early dressmaking days while still at school. There used to be a Liberty shop in Bath a long time ago, and I got some pink paisley Tana Lawn in the sale there. I was very pleased with it, and made a summer outfit with a vest top and wide Palazzo pants that I wore a lot. The tiny stitches were very satisfying too. It’s a while since I’ve done much hand sewing or embroidery, and I always have a bit of a crisis of confidence about embroidery beforehand, thinking it will never look very neat or even. I contemplated having a practice first before stitching the actual thing, but I was too impatient for that and dove right in. It was okay once I got going, and there were only a couple of bits that didn’t look quite as neat as I’d hoped. The boots were one of my favourite things about the whole design. They were also one of the most fiddly bits to do, but I think they really add something to the finished rabbit.